The last few days have been a bevy of DC movie news all across the internet. 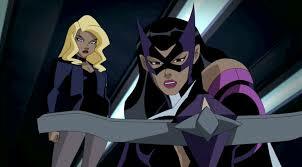 Now, more interesting news hits the web in the form of Birds of Prey casting. With the movie still quite some time away, it looks like the film has officially added two new members in the form of Black Canary and Huntress. Mary Elizabeth-Winstead has signed on for the role of Huntress and Jurnee Smollett-Bell will be starring as Black Canary in the feature film adaptation. Both have been confirmed via Deadline and numerous other reputable sources. Obviously, Margot Robbie is also returning to the role of Harley Quinn in this newest movie in the DC film universe. This latest announcement is more proof that DC may possibly be trying to right the ship after the failure of Justice League. We'll see. Either way, we're excited.